Many people want to study for a NEBOSH course in order to gain a valuable qualification that can improve their resumes and increase their employment opportunities by a significant margin. After all, a NEBOSH qualification can increase job prospects as NEBOSH courses impart candidates with the latest information on occupational Health and Safety. However, it is important to be thoroughly familiar with the various aspects of starting a NEBOSH course before you actually start it. If you have already decided to study a NEBOSH course, you will certainly want to know more about it beforehand. It is important to know what you can expect from the course as you will be learning about the standards of Health and Safety in the workplace. You will also want to know the cost, so you can plan your finances or raise funds accordingly. Another question SHEilds frequently addresses is what exactly justifies the importance of NEBOSH courses and their related qualifications? By successfully completing a NEBOSH course, you are awarded an award, a certificate or a diploma level qualification. Becoming NEBOSH certified will help you cement your position in the company you are already working in, allowing you to apply for that promotion, or even look to move companies/industry altogether. Alternatively, you may find that you need to possess a NEBOSH certification in order to apply for a new role, or maybe you need to be NEBOSH qualified as required prior learning to apply and start to study on a different course such as an MSC. 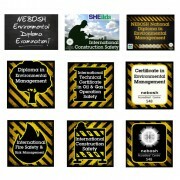 NEBOSH certifications can be extremely useful if you are starting your career and looking for a job. 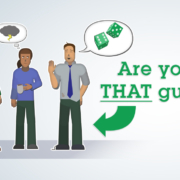 They can also be useful if you are already in a role which requires you to be responsible for Health and Safety matters or you are looking at adding a specific skill to your portfolio to increase value in yourself or the services you offer. Due to the National and International scope of the certifications, they can give a tremendous boost to your job prospects as your resume can make a strong impact on potential employers. A NEBOSH certification can be of use in many areas. It generally depends on what kind of career you are looking for, the company you want to work in and the job position you wish to attain. With courses starting from as low as £45 per month now is the ideal time to start, regardless of your current position, skills and experience. What Kind of NEBOSH Course Should I opt for? With all the previous points cleared up you may ask; what kind of NEBOSH course should I opt for? There are a variety of NEBOSH courses available so you have to ensure that you choose the qualification that is fit for purpose based on your personal goals and ambitions. The NEBOSH National General Certificate (NGC) (or International variant if you’re based outside of the UK) can be used for gaining entry into most industries and is regarded by most Health and Safety managers as the first place to start. NEBOSH Award Level – These qualifications cater for those that require basic fundamental training and information related to the field of occupational health and safety. NEBOSH award level qualifications sit at level 5 on the Scottish Qualifications Framework (SQF) which is equivalent to a level 2 on the National Qualification Framework (NQF). NEBOSH Certificate Level – These courses will be of more use than the award course due to increase in information and knowledge gained. Certificate level NEBOSH qualifications sit at a level 6 on the SQF equivalent to level 3 on the NQF. In many cases a NEBOSH certificate is often the prerequisite for getting an interview to apply for a role as a safety officer, safety manager or other professional safety related roles. NEBOSH Diploma Level – If you wish to pursue your education further you can take the NEBOSH Diploma course which is the highest qualification you can get from NEBOSH. Diploma level qualifications sit at level 10 on the SQF equivalent to level 6 on the NQF. Completing a NEBOSH diploma level qualification is equal to an honours level degree, typically BSC with honours. You also have the added benefit of been able to use the post nominal DipNEBOSH after your name. Where to Study NEBOSH Courses? NEBOSH or the National Examination Board in Occupational Safety and Health develops the syllabuses and examinations for the awards, certifications and diplomas it provides. NEBOSH itself does not actually offer any courses however. 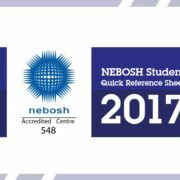 Although NEBOSH itself is based in the United Kingdom, the accredited institutions can provide the courses anywhere in the world. It is important to check the accreditation of the institution before opting for a course provider. SHEilds Ltd are accredited by NEBOSH with centre number 548. Why Choose SHEilds Health and Safety? SHEilds Health and Safety are a highly reputable company, who have a fantastic following within both the UK market and International markets. SHEilds have been delivering NEBOSH qualifications for many years now and due to our huge geographical footprint, we regularly get invited to provide input and feedback to NEBOSH on the development of new qualifications, more often than not we are the company that runs the pilot tests to see how new qualifications fit within the industry. SHEilds took a main role in NEBOSH e-Learning by being the first to develop dedicated NEBOSH e-learning materials and the first to offer these to the industry. 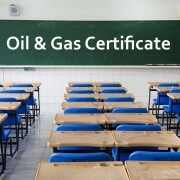 Many of these certifications and qualifications are tailored to specifically relate to industries such as oil and gas, construction, environmental management etc. With tens of thousands of students already studying a SHEilds NEBOSH course what are you waiting for? 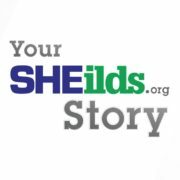 One of the major advantages of SHEilds Health and Safety is their tutor department; SHEilds only employ highly qualified CMIOSH tutors that have real world experience to draw on. Their expertise proves an invaluable resource for candidates, coupled with the other available resources such as downloadable revision materials, videos, audio downloads, exam styled practice questions and more. You can reach out to the tutor team whenever you face an issue in the course material you are studying. By getting your questions answered and doubts clarified by an expert, you will have no problems in continuing and completing your chosen qualification. 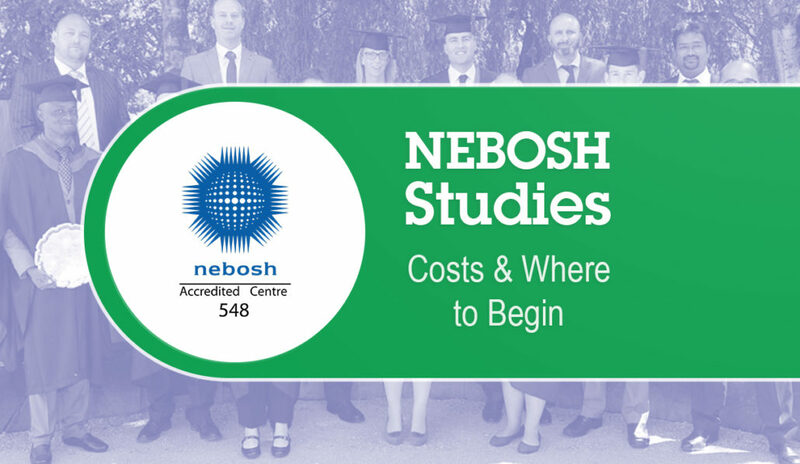 Another major advantage that students get by studying for NEBOSH courses from SHEilds Health and Safety is the availability of online learning facilities. These facilities allow you to study regardless of your geographical location, work demands, family commitments, etc. Studying online through e-Learning provides flexibility and freedom to study from any location that you want to study from. This can be your office, your home or even your favourite coffee shop. During development, the SHEilds team ensured that the materials provided are highly interactive which increases the retention of learnt information. This makes the training process all the more effective. Course fees for qualifications range from £250 – £2500 depending on the level required. Payment options are available including the option for UK delegates to take advantage of our 0% finance option, which allows the cost to be spread across up to 12 instalments bringing the cost to as little as £45 per month. We can help you and your career flourish. Arrange a free 15-minute professional consultation with one of our training experts and we will establish your goals and the offer guidance on the correct educational route to take, discussing how this can be achieved with associated timescales. To speak with an advisor immediately, just select the ‘chat with us now’ tab on the bottom right of the screen and enter your details. https://www.sheilds.org/wp-content/uploads/2018/10/IWantToStudyNEBOSH-BlogImage1A.jpg 707 1220 Paul Nock https://www.sheilds.org/wp-content/uploads/2015/07/sheilds_logo.png Paul Nock2018-10-11 15:29:482018-10-11 15:29:48I Want to Study NEBOSH But Where Do I Start? Which NEBOSH course should I do?